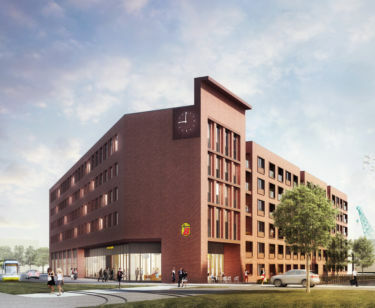 Berlin/Vienna/Frankfurt, 15 January 2019 – UBM Development Deutschland GmbH has sold the Super 8 Hotel in Zollhafen Mainz (former customs port), which is being constructed on the Hafenallee II plot, to Württembergische Lebensversicherung AG for around € 24 million. Construction on the 216-room building commenced at the beginning of the fourth quarter of 2017, with completion scheduled for the first quarter of 2020. 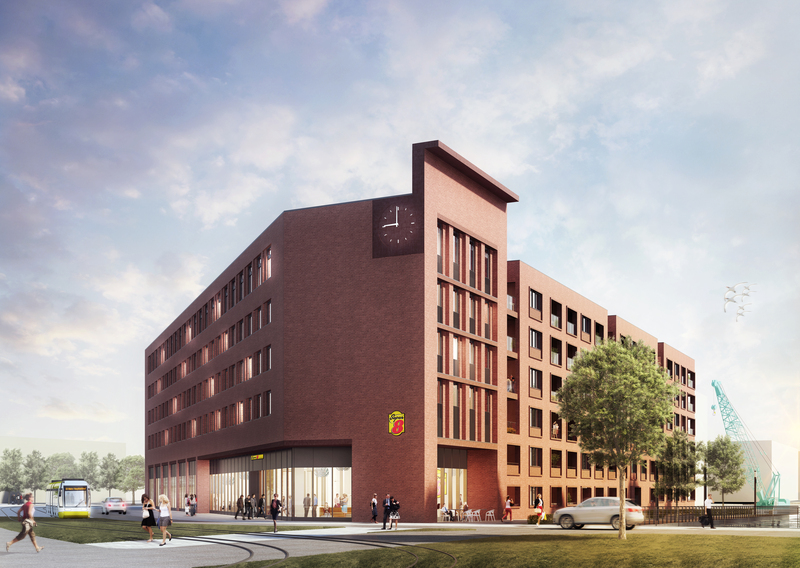 In the urban development area of Zollhafen Mainz, a new hotel is being constructed on the 1,580 m² Hafenallee II site. UBM Development, the leading hotel developer in Europe, is building a new “Super 8” hotel with a total of around 8,600 m² gross floor area above ground in a prime location at the former customs port. Approximately 230 m² of commercial space is available in a section of the ground floor of the five-storey building for a corresponding use. The area is well connected to the public transport network with the Zollhafen tram station in the immediate vicinity. Around one year before completion, UBM Development was able to sell the hotel project to Württembergische Lebensversicherung AG for € 24 million as part of a forward deal. “The early sale of the hotel building once again proves the excellent quality of the project and its location. The Mainz hotel market is in particular demand here, which we optimally cover with our concept. With this project, we underline our position as the leading hotel developer in Europe, especially in Germany. In the future, we will intensify our activities in the Rhine-Main area – both in the area of residential and commercial use”, commented Dr. Bertold Wild, Chairman of the Board of UBM Development Deutschland GmbH, on the sale. Colliers International Hotel GmbH acted as intermediary in the transaction. The legal advice of the buyer was carried out by the law firm GvW Graf von Westphalen. The property was acquired by the Zollhafen company at the end of 2015. The lease was already signed with the tenant GS-Star GmbH in 2016. A 20-year term was agreed in the lease contract. The new building, whose facade is characterized by a clinker look, fits in very well with the local built environment. The planning office Turkali Architekten in Frankfurt prevailed with its concept in the qualification process against six other well-known offices. The hotel building shall be certified according to the DGNB silver standard. UBM Development is also developing and construct 2 additional buildings scheduled for completion in 2020 in the immediate vicinity of the hotel: the residential project WATERKANT with 82 units, as well as the residential projects Hafeninsel V and IV in a joint venture with CA Immo.